The mountains make my heart sing. John Muir quotes seem to have become ubiquitous on the internet, popping up almost daily in my various social media outlets. Despite Muir’s words teetering on the precipice of becoming the next Internet meme, his words best encapsulate how I feel in the mountains. From the moment I step foot on the trail, my attitude shifts and my outlook on the world seems to change. 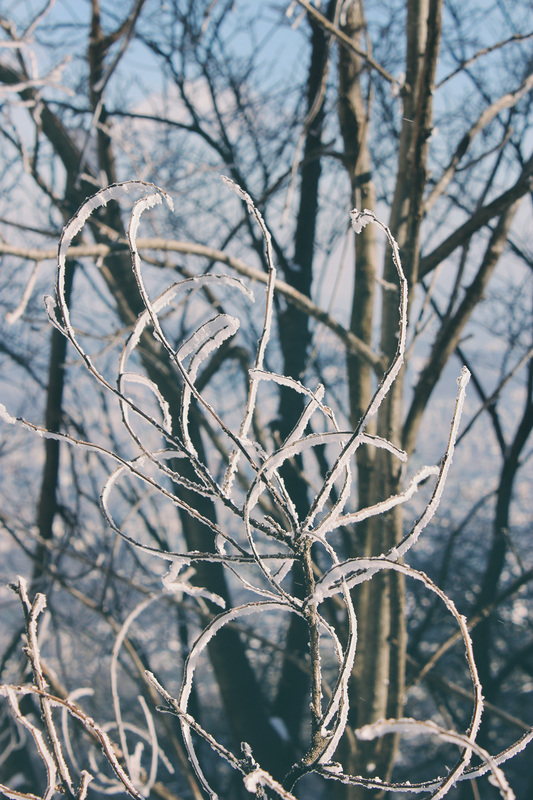 The harsh landscape of towering apartment complexes, jam-packed subway trains and sidewalks crowded with phone zombies is effortlessly traded in for a magical Narnia-esque winter wonderland. 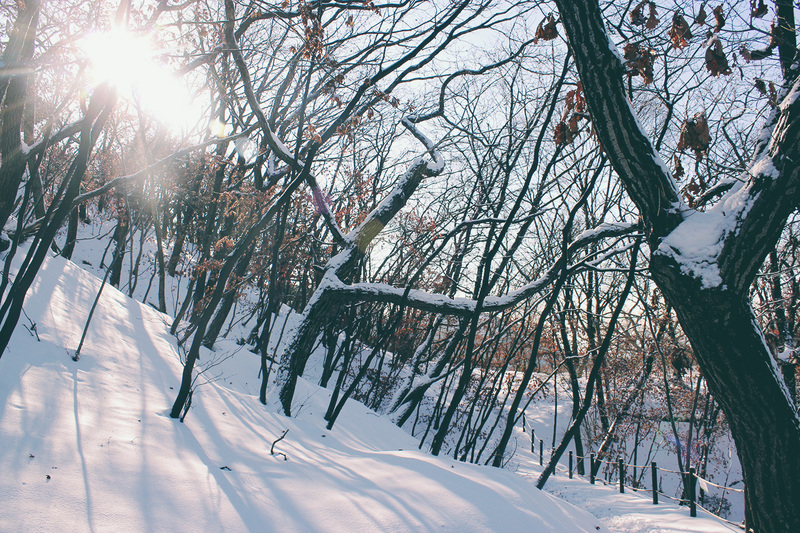 Empty trails overflowing with snow mesmerize the mind and invigorate the body. Winter skies are the brightest blue and the air is just the crispest and cleanest. Absent are the stresses of modern civilization: it’s as though bills, salaries and student loans have been vaporized into thin air. Being in the forest, in the mountains, is when I feel the most alive. It’s when I do my best thinking. Certainly, it’s when I feel the happiest. I headed back to my old stomping grounds for my first winter hike of the season and any expectations I had were blown away. 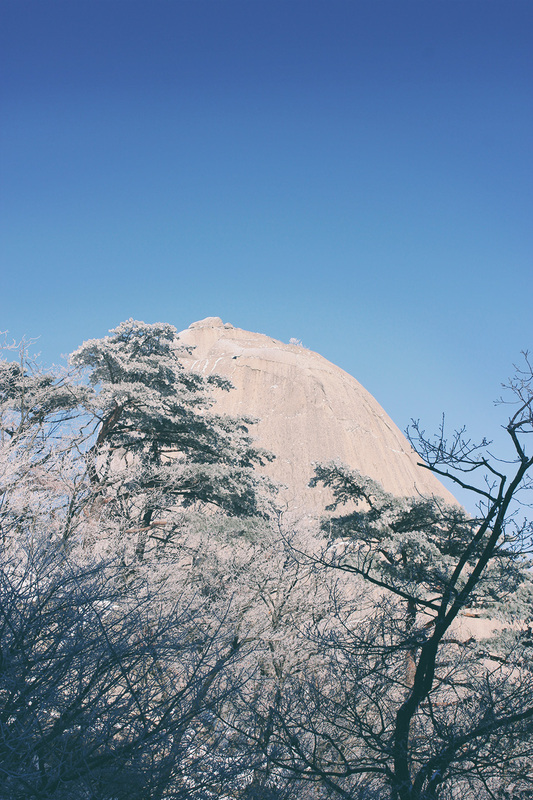 I’ve been to the peak of Bukhansan National Park, Baegundae, more times than I care to count, but its magic never fades. I never cease to be amazed by the unique experiences this mountain offers me every single time I embark on a journey to the top. 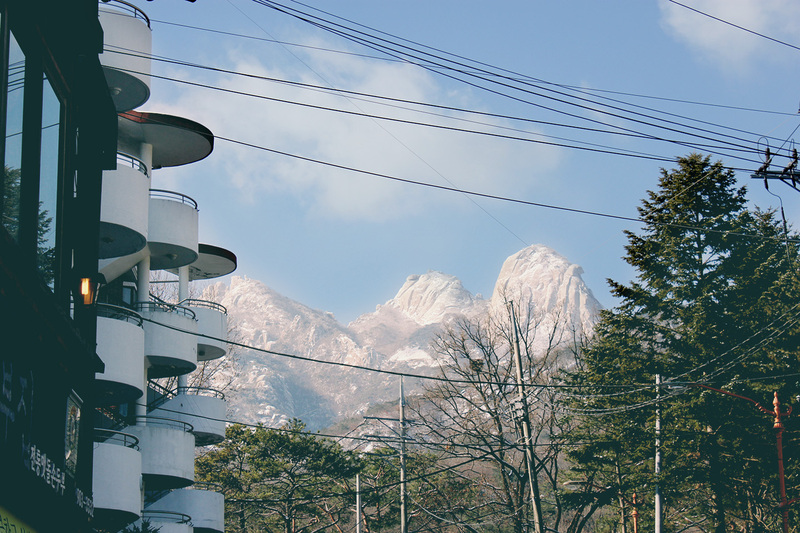 I’ve posted about this mountain many times, but not since December 2012. I expected to see a few sprinkles of snow here and there, but I was ecstatic to be greeted by piles of snow from my first steps on the trail. 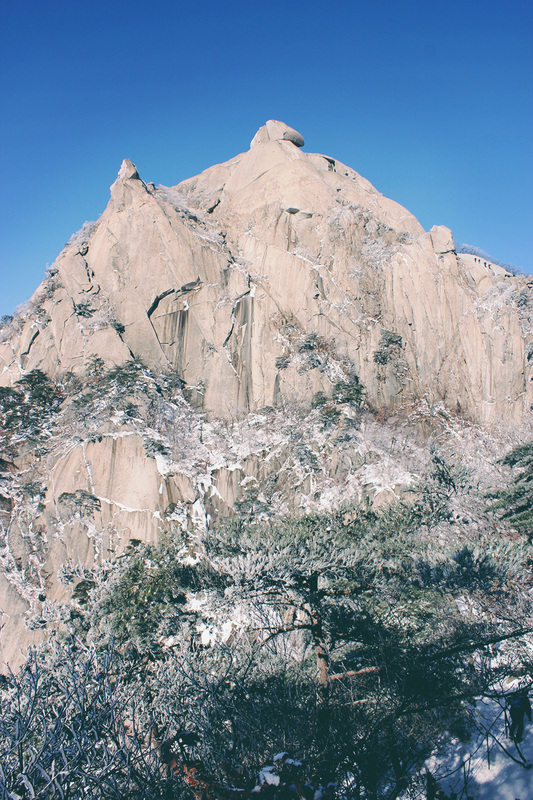 The 1.8 km trail from Doseonsa Temple to the peak, Baegundae, is typically extremely crowded, as it is the most direct route to the top of the most-hiked mountain in the world. Luckily, on this hike, I was able to hike in isolation for most of the afternoon. 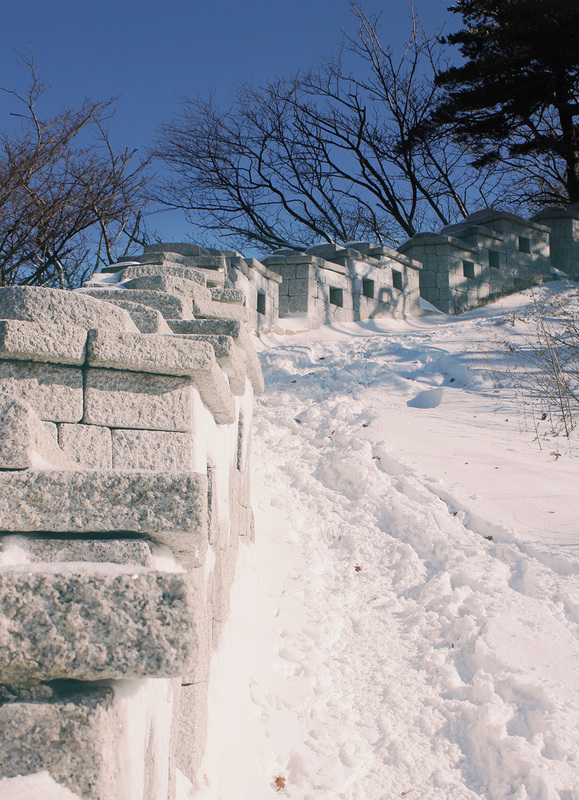 Instead of heading back down after hitting the peak, I headed west along the fortress wall towards Daedongmun. 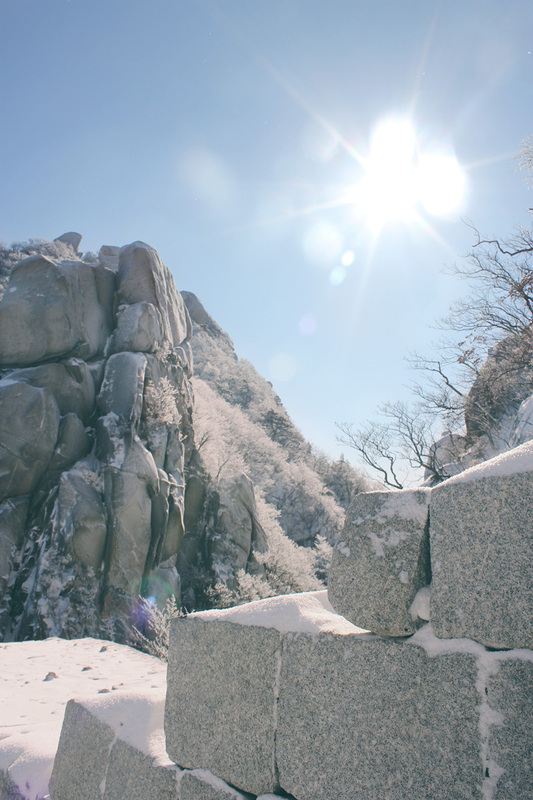 This stretch of trail that wraps around the northern facing side of the mountain is my favorite part of Bukhansan National Park. To follow my route, get off at Suyu Station and take any bus headed for Doseonsa temple (there are many, many). When you get off the bus, you will see a North Face Store. At this intersection and head up the street. 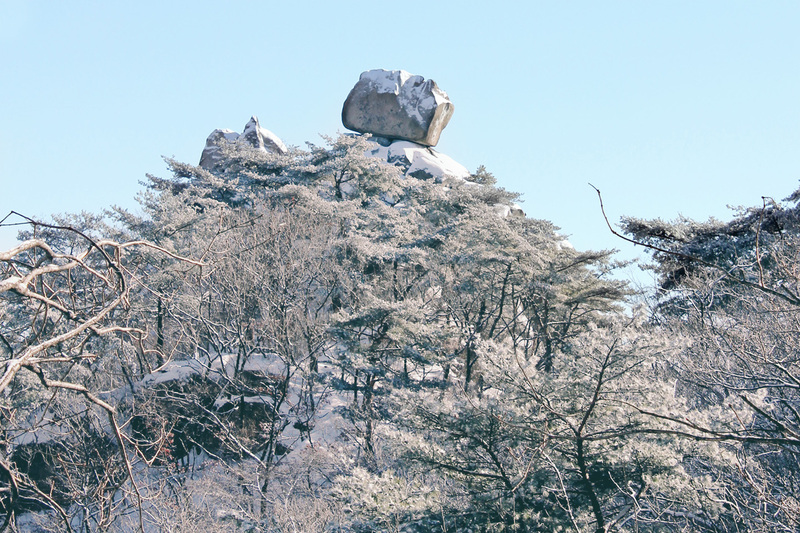 You will see Baegundae and Insubong in all of their magnificence directly in front of you. This street dead ends at the trailhead after winding uphill for about 2km. 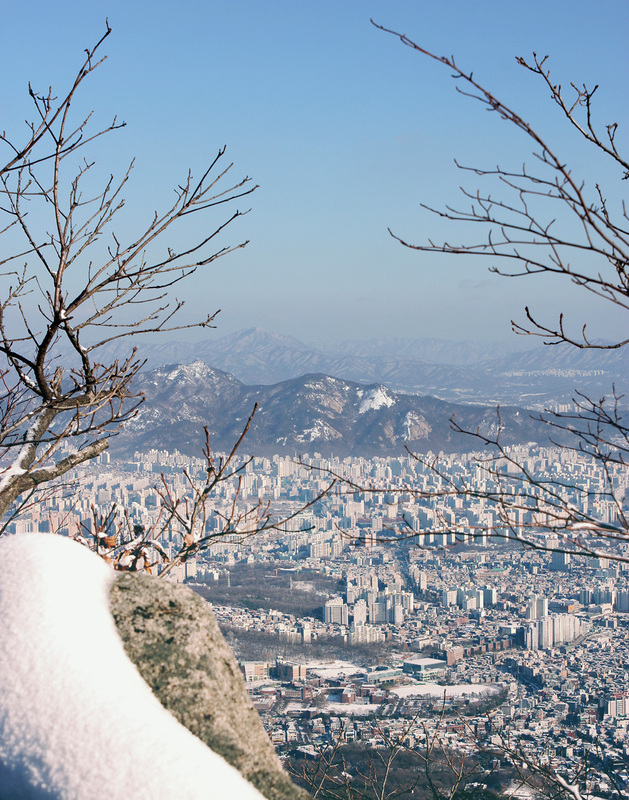 From the trailhead, it’s a direct route up to Baegundae, expect it to take about an hour and a half at a moderate pace. The last .3km of the hike are the only challenging bits and require some monkeying up the rock faces. 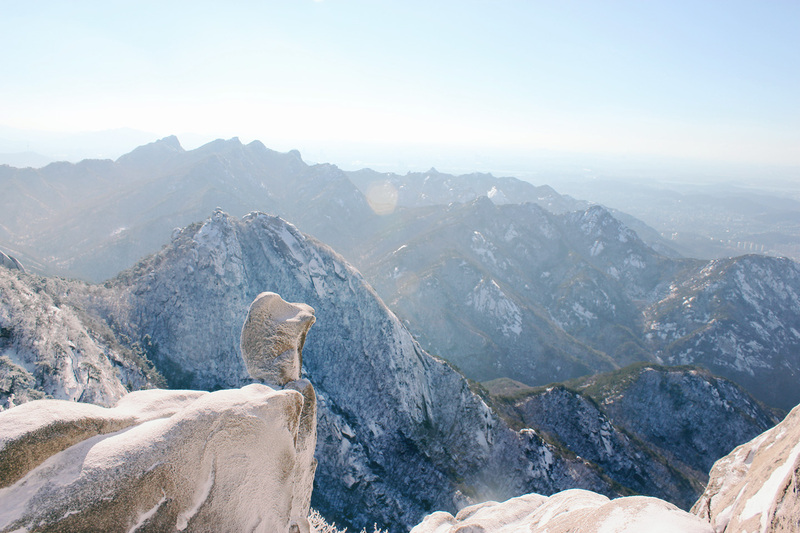 If you have a fear of heights, this part of the hike might be the most challenging. I would recommend a pair of crampons for a winter hike, just to be safe. After gloriously basking on the peak, turn right off the fortress wall down the staircase (opposite of the way you came up). After about 100 meters, there is a fork in the staircase: turn left and follow the sign towards Daedongmun Gate. 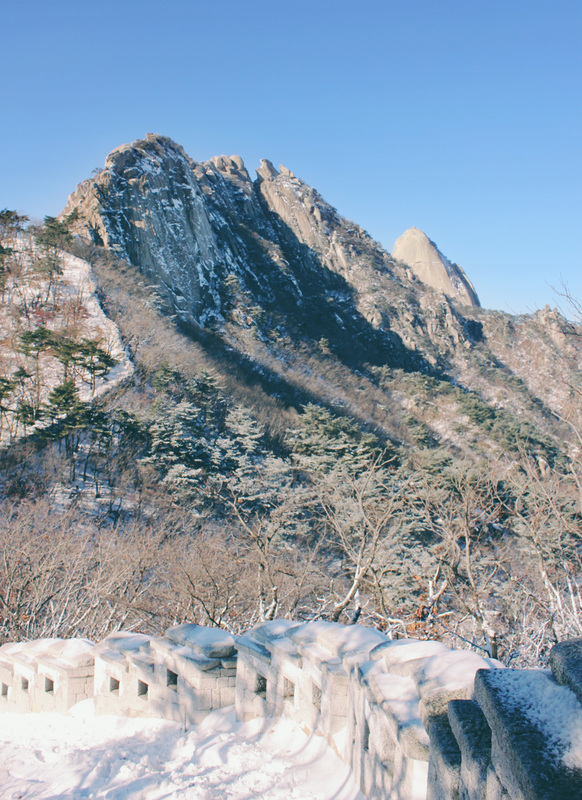 From here, you will wind around the mountain and end up hiking along the fortress wall. In other seasons, I take the low road to avoid the tiny stairs along the fortress wall which are quite cumbersome to ascend and descend. 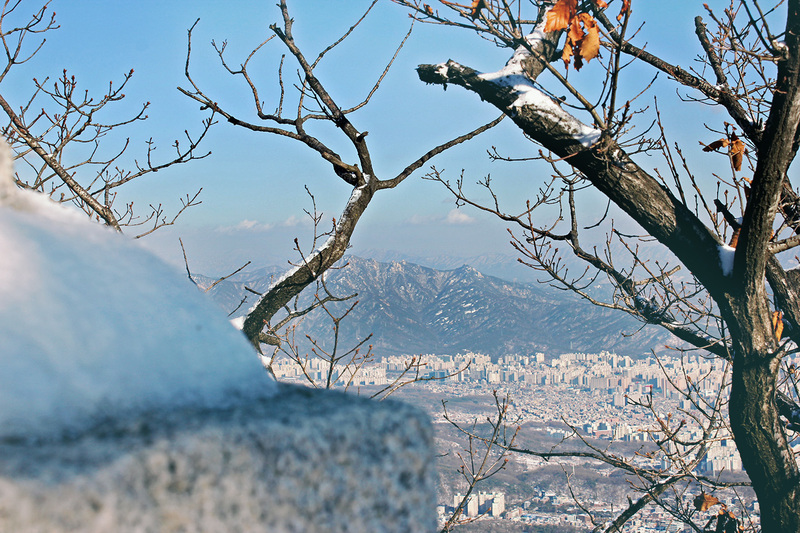 However, with the snow pack, it’s wonderful to hike along the wall and experience stunning views of the city and the peaks for the entirety of the hike. Once you reach the wall, there will be several opportunities to head down to the bottom of the mountain. 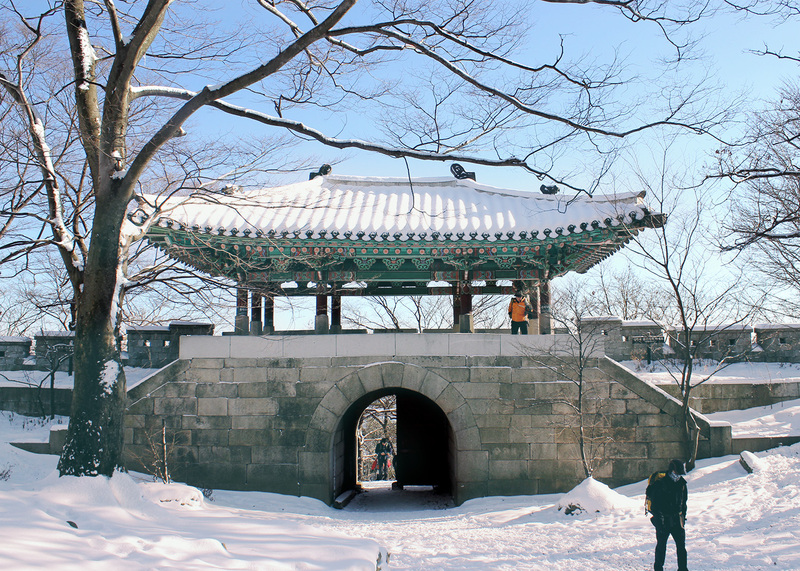 My preferred route is the shortest, heading down from Bogungmun Gate, the second gate you will pass on your left coming from Baegundae. This route is direct and will take you down to the Jeongneung main entrance. Two bus terminals are located a 5-minute walk down the main street of Jeongneung and there are a myriad of buses to take you all over the city. Don’t miss out on this winter beauty!